Why do advertisers say free manual download but it not true. Is that not false advertising. 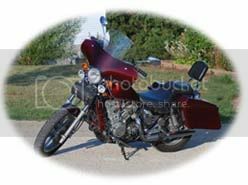 I'm trying to get a wiring diagram for a 97vn750 vulcan. If anyone can help I would appreciate it thanks big John. Luckily, I had this downloaded, lost all my bookmarks. Think I may have gotten this from Kanuck's signature, not sure. Just have to find it in the list, second from the bottom. That's on page two, there might be a better wiring diagram in the list too. Let us know if you find one. I haven't checked that link as I can't download the file to my phone but the link in my dig is the file "chaptered" for easier reference. I have the newest version of the Clymer manual that's has never let me down. If anybody needs a section scanned out of it let me know. Its just too massive to scan the entire thing. Never mine I can't read. Last edited by kanuck69; 02-08-2013 at 10:01 AM. Thank all for any help you can provide. Your left carb has a stuck float or it's passing gas through the vacuum line on the left carb. It's running on one cylinder, so it's only got half power, or less really. After the fuel problem is fixed, drain the oil since it's probably full of gas, I wouldn't run it with that much gas in the crankcase.